Today Yuriy Gusev, also known as fool within the pixel art community, announced the release of a new flash game called Knight Fall featuring his pixel art. We’ve been waiting for this for a long time. 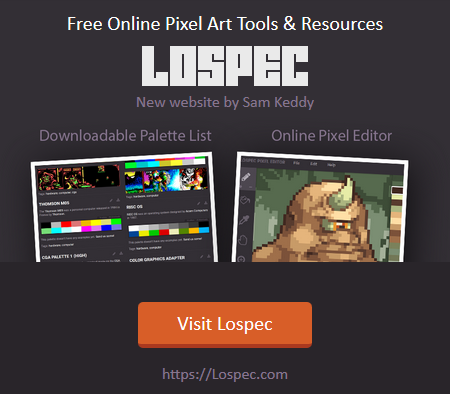 Fool is well known as one of the most talented pixel artists on the scene, and his art has been viciously spread around the internet. If you haven’t seen his art, prepare to be amazed. Fool has teased games in the past, posting sprites, animations and even title screens, but we’re finally able to see his work in a finished game. 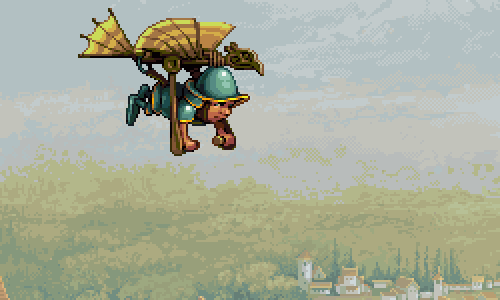 In Knight Fall you play as a knight who is free-falling down the side of a castle, using a hang glider.